Kagal is a small fishing village in north Karnataka. Unauthorised silica sand mining in a private land near the village had led to sinkholes in residential areas here, threatening salt water intrusion in rainy season that can disturb the very foundation of small houses. Realising that this was not an individual concern but affected many families, Vinod Patgar gathered evidence from the people and collated all the case data, establishing the causal relationship between the impact community faced and the illegal sand mining that continued unabated. Armed with evidence and the provisions of Sand Mining Policy, 2011, he helped the people submit a complaint to the District Commissioner. Site visits by concerned departments followed resulting in fine on the private land owners and ban on all mining activity. They were also instructed to initiate corrective measures for the damages caused so far. Patgar’s assessment after three months revealed that the orders were complied with – silica sand mining had stopped, sinkholes filled with laterite sand and casuarina, acacia trees planted to reduce further formation of sink holes. Patgar is one of the many paralegals working with the Centre for Policy Research-Namati Environmental Justice Programme. These are people from villages and towns trained in basic law, legal procedures and in skills like case documentation, negotiation, mediation and advocacy. They act as a crucial link between justice delivery system and people facing the negative consequences of development projects. The paralegals thus enable people to move from being mere victims to becoming change agents. This action is essential in the face of consistent violation of environmental laws. For instance, a 2017 CAG report pointed out failure on the part of state, central pollution control boards and regional offices of the Ministry of Environment, Forests and Climate Change (MOEFCC) in monitoring the compliance of environment clearances even in critically polluted areas. A notification issued by the ministry in March 2017 allowing for monetary compensation in cases of non-compliance defeats the very purpose of environment impact assessment done before any project starts. In Keonjhar district of Odisha, transportation of minerals without the use of any safeguards has led to widespread dust pollution affecting everything from air to water and food. Unregulated movement of trucks also results in accidents. In spite of the illegalities and violation of environmental clearance noted by a Supreme Court-appointed committee, disregard for law was blatant in the district. Keonjhar Integrated Rural Development and Training Institute and CPR-Namati programme documented the irregularities and found that conditions like sprinkling of water (to control dust on roads, dumping yards) and use of tarpaulin to cover the trucks carrying minerals were not adhered to. While a majority of the residents submitted themselves to this life, there were others who had tried to approach gram panchayat and plant management, but it was all futile. 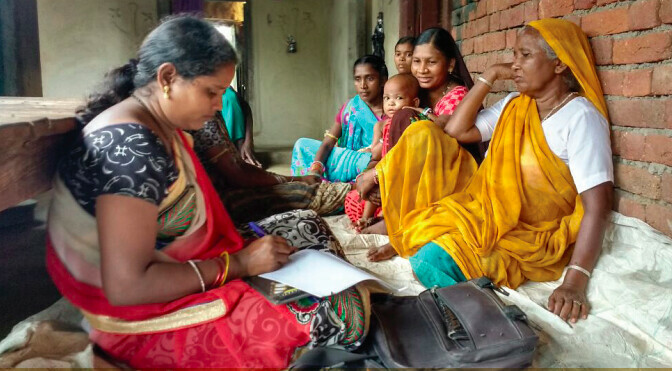 Motivated by the recent documentation, 10 women of Purunapani village in Jhumpura block filed a complaint with the Keonjhar regional and state office of the Odisha Pollution Control Board, showcasing the conditions they lived with, including poor condition of the roads and the poor yield from agriculture fields on either sides of the road. This led to site visits by officials of the boards and a range of corrective measures including repair of smoke management system, creation of a large pond within premises of a local steel plant; regular sprinkling of water and black topping of the road. Follow up showed that land had been purchased to dump plant waste and that a fly ash making unit would be established soon. Women from the neighbouring village are now inspired to follow the path shown by women in Purunapani. There are many more such success stories of CPR-Namati Environmental Justice Programme that took off in 2013 to build a cadre of paralegals, or ‘barefoot lawyers’, who help bring laws to life by facilitating informed participation of the people in seeking remedies to their concerns. The journey that started with Gujarat and Karnataka soon expanded through collaborations to other states like Odisha and Chhattisgarh. “Paralegals had to hold meetings and sometimes use creative methods such as street theatre to apprise communities of legal provisions available to protect their rights," says Vidya Viswanathan, senior manager of the environmental justice programme. "Yes it takes time and persuasion but once the communities are convinced, they leave no stone unturned to know and use the law for resolving such conflicts. In process they also shape the law to make the regulations more attuned to ground realities." The rigorous documentation, follow ups and diligent monitoring systems helped with the internal learning process. The resulting policy submissions and their reach have profoundly changed the lives of affected people. For instance, clam collection in Aghanashini estuaries of North Karnataka was not considered an inherent part of fishing, depriving the people from the benefit of any government schemes, safety nets, and other privileges meant for the fishing community. Paralegals worked with communities to form a union of the collectors and gain recognition from the state as a part of fishing community. In North Karnataka’s coastal areas, an evidence-based documentation of grievances of fishers affected by bull trawling led to its prohibition within 12 nautical miles. At a time when all issues that curb inclusive development are interconnected and cannot be addressed in isolation, enabling people to represent themselves on appropriate platforms is a critical step forward in refining development perspectives at the micro level.